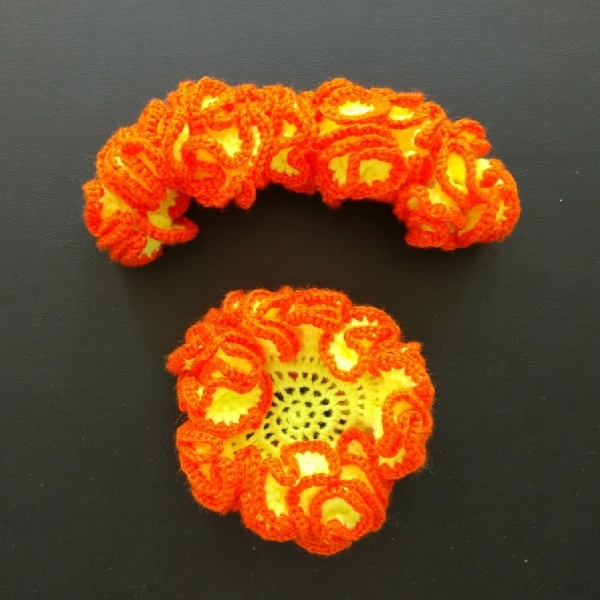 There are particular rules for crocheting a flat circle. 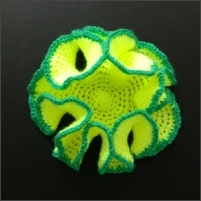 I was interested in how quickly the shape distorts when you ignore the rules and increase at a constant rate. 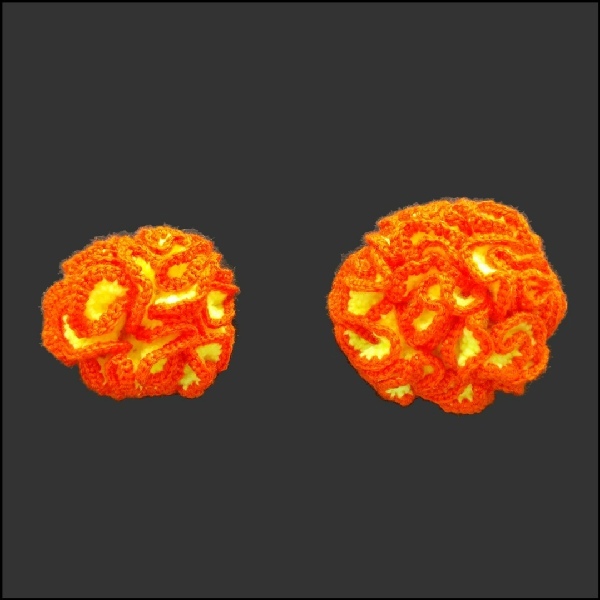 I made several examples to find out. 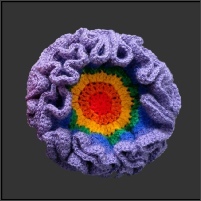 They are colour-coded with different edgings so it is easy to identify which is which and how they differ. Some are based on circles and some are strips. 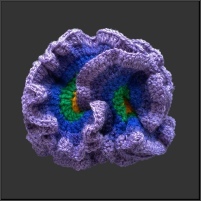 Technically these could be called hyperbolic structures. 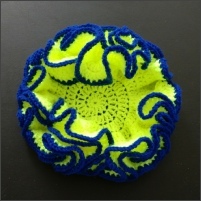 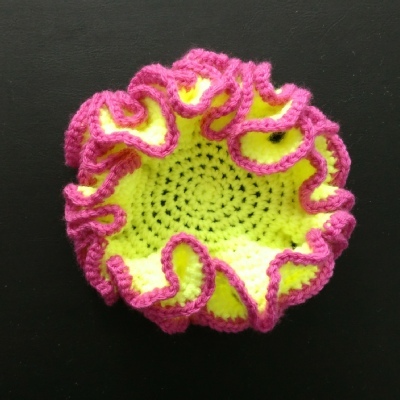 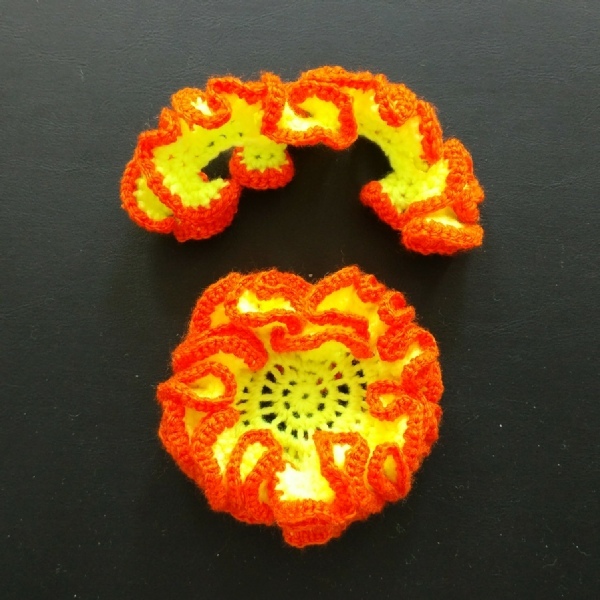 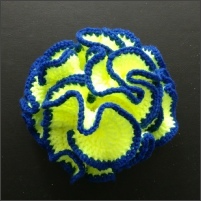 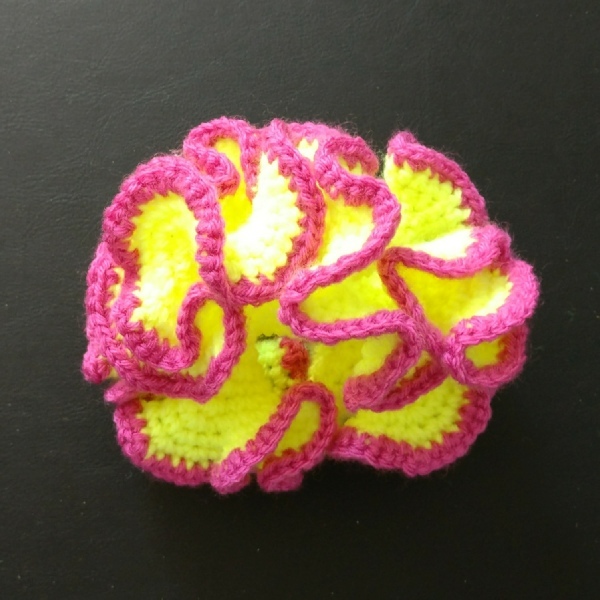 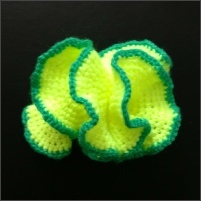 If you want to know about the maths of hyperbolic crochet, look up the work of Daina Taimina. She is the expert. 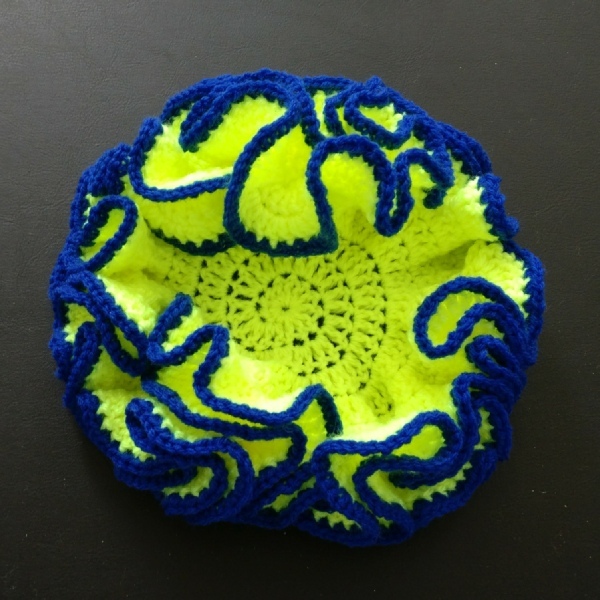 I did not concern myself with any calculations or other maths. Squiggles are very easy to make and very addictive. 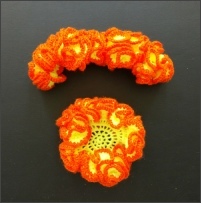 My favourites are the round orange-edged squiggles. You can twist and turn them far more than you might imagine. The photos show strips in two sizes and circles in two sizes.